Is this is the ultimate ultrabook for business travellers? 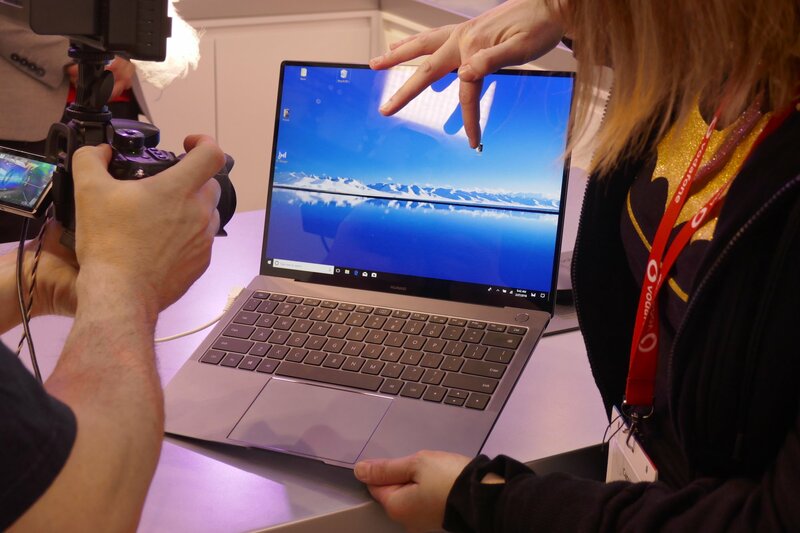 Unveiled last week at Barcelona’s Mobile World Congress, Huawei’s latest laptop very obviously has Apple firmly in its sights– that was obvious to TravGear from the design. A super-thin bezel meets a touchscreen on the MateBook X Pro, but there’s more to this ultrabook than meets the eye. Its core specs impress. A 13.9-inch touchscreen has a 3000×2000 pixel resolution, which gives it a 3:2 aspect ratio that’s primed for working. Inside is an Intel Core i5 or i7 processor, a couple of USB-C ports and a USB-A port, and a standby button with a fingerprint scanner for extra security. Crucially, it weighs 1.33 kg and it’s claimed by Huawei to work for 14 hours non-stop. If that’s true, the MateBook X Pro is destined or a big future among business travellers looking for something slim and long-lasting for long haul flights. However, the most notable feature on the MateBook X Pro is its webcam. Since many people now take over their web cams for privacy, Huawei has decided to make its built-in web can a pop-up affair. It sits within the function keys at the top of the QWERTY keyboard, and can be popped-up when you need it, then popped down afterwards. Whether Huawei’s MateBook X Pro will compare to Apple’s MacBook Pro line-up remains to be seen, but the early signs are that Microsoft Surface Pro owners could also be tempted to switch.